When you’re feeling sick, we know it’s not always easy to pack everyone up, drive through traffic and wait in a clinic. So, the next time you need care for a non-life threatening problem, get one of our trusted providers to come to you. 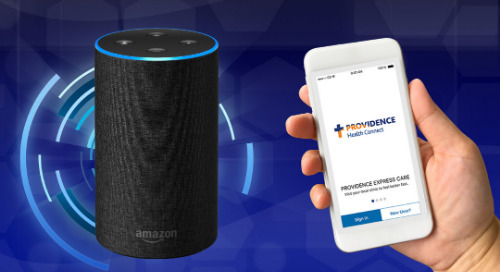 With Providence Express Care at Home, you can have a board-certified provider come to you, by calling or using an app on your mobile device. We’re bringing back the house call, 21st century style, since we believe health care should be as easy as ordering an Uber ride. We treat everything from sore throats to rashes and pinkeye, order prescriptions when needed and accept many insurance plans. Express Care at Home is currently only available in Seattle and Southern California. To learn more about this service, visit athome.providence.org. You can also see what others are saying about this service in the Seattle area. New year, new you. Start the year off with healthy recipes from our in-house nutrition team.